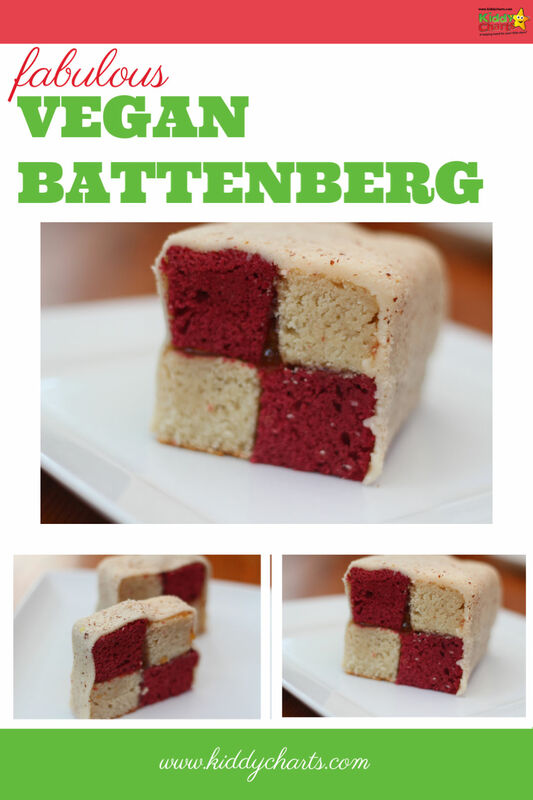 We have a gorgeous recipe for you today; it is a Vegan Battenberg cake from the rather clever Keith Squire, and I am sure you will agree it looks SCRUMMY. Let us know what you think if you ty it won’t you? 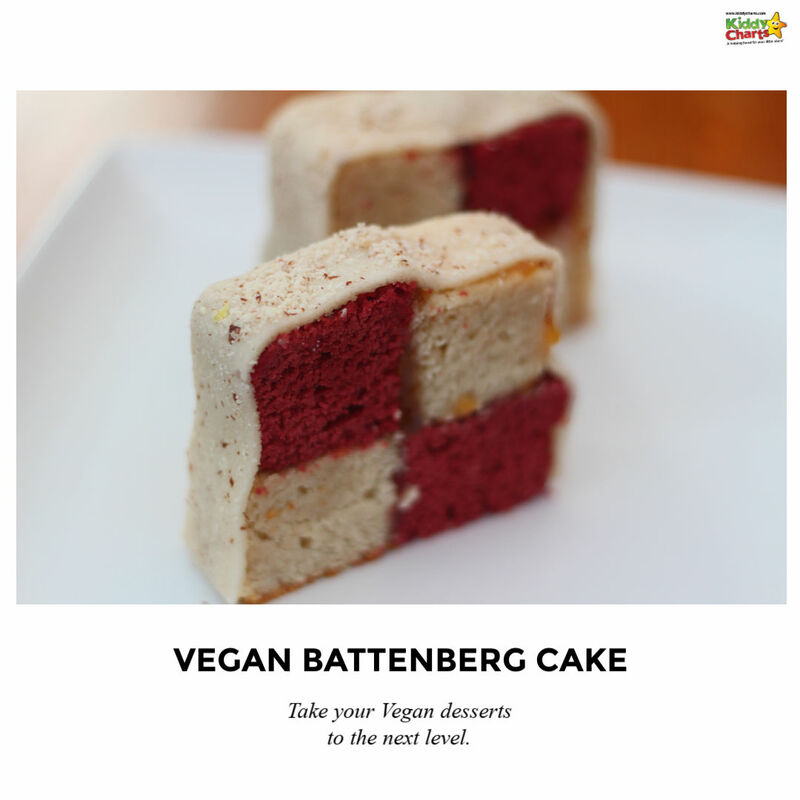 How to make a fabulous Vegan Batternberg Cake, courtesy of Keith Squires from https://www.keithonfood.com. Add the beetroot (sliced), coconut oil, and sugar free jam into a blender to start with. It needs to be a good blender, like a Nutrabullet or similar. Then you need to use the blender to grind the mixture to a smooth paste. Add this mixture to a bowl, and slowly add in the flour. Now, make sure you beat the mixture well until it resembles a sticky dough. If you feel it is a bit dry, add almond milk to it. Add the mixture to a SQUARE baking tray, which you have lined with paper. Put in the oven at 180C for c. 20-25 minutes and when the mixture is firm to the touch. Add the coconut oil, syrup, and almond milk into the blender this time. Again make sure it a robust one! To soften all the oil, make sure you grind this mixture to a smooth paste. Add this mixture to your bowl, and pop in the desicated coconut. Mix in the flour carefully, and beat until the dough is sticky, as for the beetroot sponge. Again adding almond milk if you need too. Put the mixture into another square baking tray with paper and bake at 180 C for 20-25mins again until the cake is form to touch. Cool on a wire rack. Once cool, you just need to assemble the cake. Put the different sponges together using the jam. Cover with vegan marzipan, again using the jam to stick it to the sponge. 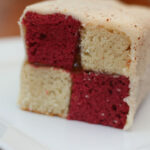 For more info on assembling a Battenberg without a tin, why not check out the video below from the wonderful Mary Berry! We have lots of other fantastic recipes on the site for you , so shy not check out our cook section? For example, why about trying our dairy free chocolate cake? Or perhaps the easiest chocolate brownie recipe ever! We hope that you like this article; do come back soon for more of the same. If you do like it, feel free to subscribe to our weekly newsletter for more great printables, advice and the ocassional bit of travel and cookery too. Thanks for coming to visit us as always; we love having you pop over and see us. Let me know if there is anything you would like us to cover as well.